Figure 1: A familiar site in rural America, but how much product is stored in those silos? Figure 2: Radar instruments for level measurement of bulk materials include guided wave radar (left) and through air radar (right). Figure 4: Spent grain is often given to farmers for fertilizer. The brewery needs to monitor level so it knows when to notify farmers for a pickup. 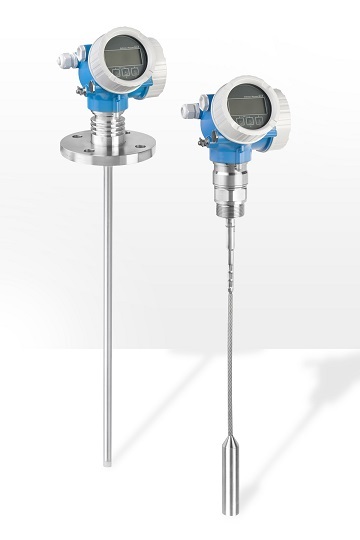 Figure 5: The Endress+Hauser Solimotion FTR20 Microwave flow indicator monitors pneumatic and mechanical transport processes of bulk solids. Thousands of bins, hoppers, and silos dot the food and beverage industry landscape (see Figure 1), holding grains, sugars, malts, powders, and other products. But how much product is really in those bulk solid storage systems? In many cases, companies don’t know because they may or may not have level instrumentation — or if they do, the instruments may be inaccurate, broken, or can’t communicate to modern supply chain management software. 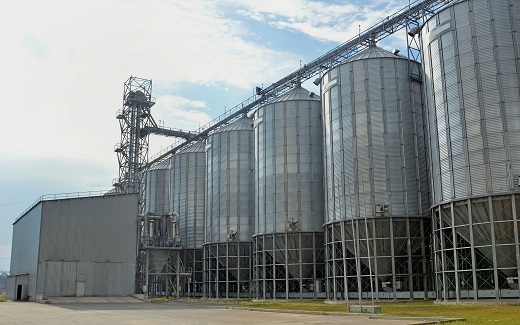 Malting plants, for example, may have hundreds of silos or bins, with few instrumented. In many cases, personnel at plants and facilities have to do manual checks of the inventory, and it’s often same with grain and corn plants. In the old days, orders for bulk solids came in by mail or telephone, and the company had plenty of time to figure out if it had enough product to fill the orders, and where products could be found in its various bins and silos. It could contact its remote operations personnel by phone, wait until they checked inventory manually, and determine how to respond to orders. Today, orders arrive by email or electronically, and the customer wants to know right away if the company can deliver in time. To deal with this need for instant information and response, food and beverage companies are installing inventory control, supply chain management, and tank and terminal management software to track materials, discover product bottlenecks, and aid product and procurement planning. But to do this, they need to know what’s in those silos and bins, which is where modern level instrumentation enters the picture. 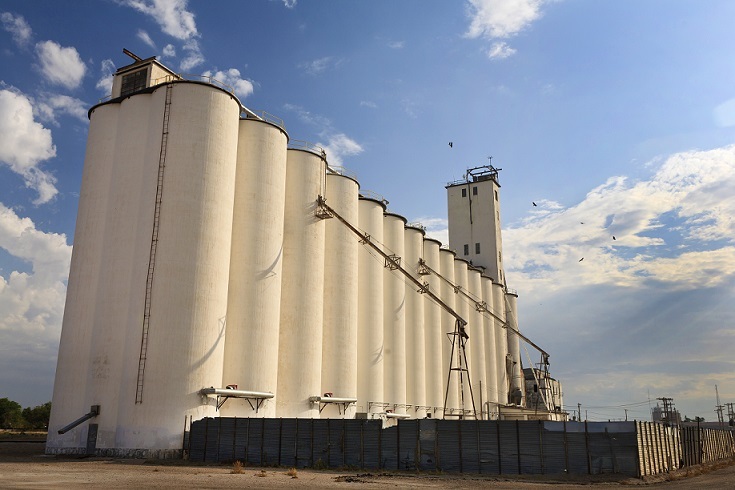 It can be difficult to justify the expense to outfit all silos with level instruments. Often companies start with high mover bins used for out loading and expand from there. In this article, we’ll look at the various problems in solids level measurement, and describe how modern radar level instrumentation and point level sensors can solve them. Two types of radar instruments can be used for powder and solids level measurements (see Figure 2): through air radar (TAR)— which can be pulse or FMCW-frequency modulated continuous wave, and guided wave radar (GWR). With pulse or free-space radar, the transmitter sends a continuous wave and constantly modulates the signal, typically from 78 to 82 GHz, or it sends a pulse at 6 or 26 GHz. The transmitter then measures the time from the sent signal to the signal returning. That time difference is directly proportional to the bulk solid level in a silo. Perhaps the most widely used radar instrument for powder and bulk solids applications is 26 GHz through air radar. These instruments have been used in more than 450,000 applications requiring fast response and involving measuring ranges up to 230 ft, extreme dust, and frequent fill and empty operations. 80 GHz through air radar is quickly taking over the non-contact applications due to its high accuracy of ±1mm and small beam angle of 3 degrees. GWR uses an approximately 1.2 GHz radar signal that travels down a guide rod or cable, making it a “contact” device. That is, the rod or cable contacts the solid material. The energy reflects to the transmitter when it encounters a change in dielectric content (DC). The lower the DC of the material, the less reflected energy, thus reducing the range of measurement. When the DC is low and the disturbances are many, or where there is heavy dust present, GWR technology can be an excellent choice. Choosing between pulse and GWR radars depends on process conditions, as described below. Various types of dry materials pose different challenges for level measurements, but most of these issues can be resolved with the correct application of the right technologies. Flour, Sugar, and Powders: These light materials are often fluidized to avoid build-up in the silo and to keep the solids from compacting. This reduces the density of bulk solids by up to 80 percent. Granulated sugar can be abrasive, while powdered sugar has tendency to be hygroscopic, absorbing moisture and expanding. For sugar and flour, a GWR is recommended as it is less susceptible to loss of signal caused by dust or angle of reflection. For flour, a coated cable is recommended to minimize cable damage caused by flour migrating into the cable strands. For sugar, bare cables are the better choice. More and more food companies are restricting the use of any plastic in contact with food products, for many of the same reasons the use of glass is restricted. There is a food safety concern if bits of Teflon, glass or plastic get into the final product. To deal with these concerns, a non-coated cable should be used, even if it is not the best choice from a reliability point of view. Through air radar is the best choice for continuous level measurements of other powders because of its lower cost and high measurement reliability. Through air radar works well but has the possibility of losing signal during filling because of large amounts of dust. An air purge can be used to keep the radar transmitter/receiver clean, and a dust bag is a good option when there is air movement inside the silo, such as with pneumatic filling. 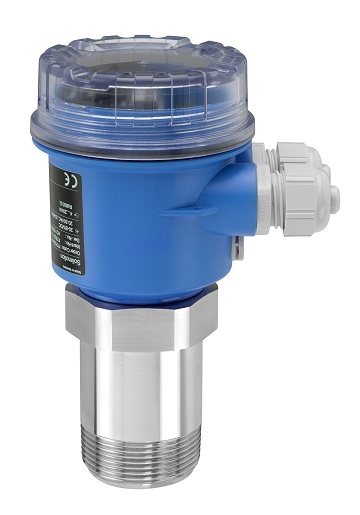 For point-level measurements, a fork-type vibration level switch is appropriate for use in silos containing fine-grained or powdery solids, even with a low bulk density. Grains, Corn, Beans, and Feed Pellets: These larger, often abrasive particles are typically stored in tall silos or in bins for distribution/milling. Some of these silos or bins have up to 800 compartments, making it difficult to justify instrumentation in each. Through air radar is the first choice—mainly because of its low cost—but GWR might be required for narrow bins with support beams, because its narrow beam angle avoids obstructions. A tiedown may be required to keep the guide rod or cable in place. A vibration fork is the most appropriate level switch in these types of applications and is typically only used to check for high level on large silos. A capacitance point level switch can also be used. Malt: Malted grains (barley, wheat, etc.) are very light and can be abrasive. Malt is typically stored in tall, narrow concrete silos. Larger breweries have many of these silos (see Figure 3). Depending on brewery size, they can have 20 or more 130-ft-tall silos. 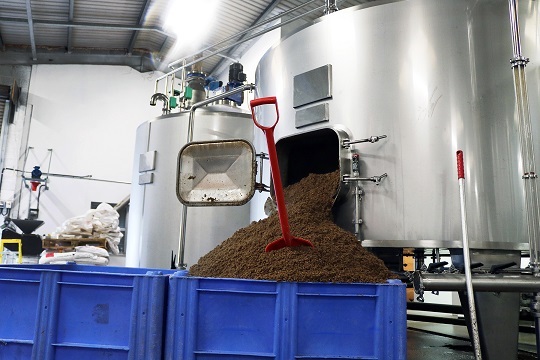 Breweries must always have malt grain inventory as they switch among different brews, so level measurements are needed to ensure product availability. Load cells are often used to infer level from weight, but they require frequent calibration and maintenance, and accuracy depends on consistent product density and settling. Many of these systems no longer work and should be replaced with GWR radar instruments. GWR works best in these applications because the dielectric constant and the bulk density would be too low for through air radar. A vibrating level switch with its high sensitivity is the appropriate point level device for this application. Spent Grain: Spent grain is left over from a brewing process and can be found at breweries, distilleries, and ethanol plants. It is very sticky and wet, and is often steaming when arriving at the silo. Typically, it is given to local farmers for fertilizer. The brewery needs farmers to take the spent grain away quickly when the silo is full (see Figure 4), so level must be monitored. Through air radar works well, especially with a flush or rod antenna to minimize build up and effects from condensation. A capacitance level switch can be used to indicate a high-level alarm. In these applications, a non-contact, motion-detecting device based on microwave technology is ideally suited for cost-effective monitoring of mass flow (see Figure 5). This compact device can be used wherever monitoring of bulk solids movement is needed. It detects product movement and presence/no presence of media. If a bin or silo has never been instrumented, or if the local instrumentation is not connected to a network, then some means must be provided to send level data to inventory or supply chain management software. If the silos are in a food processing plant, brewery, or other production facility, then it might be a simple matter to tie into the existing fieldbus network. For remote bins or silos, new instrumentation can be connected to a local PC, a data acquisition system, or a local control system, and then sent via wireless or cellular connections for storage in the cloud, and access by inventory control software (see Figure 6). New level instrumentation can pose a problem for maintenance people, who suddenly must deal with relatively sophisticated radar devices. For this reason, process plants may want to acquire level instruments with built-in diagnostics, verification reports, and in situ proof testing. Such devices can inform maintenance personnel when a sensor is having problems, and let them know what needs to be done to fix it. Order processing, inventory control, supply chain management, plant automation, production planning, and many other aspects of running a food or beverage plant require accurate and reliable level measurement of products stored in silos and bins. Modern radar level measurement instrumentation is now less expensive and easier to use, often making it the best choice to obtain level information from local and remote bins and silos. Ola Wesstrom is industry manager for food and beverage at Endress+Hauser. Dean Mallon is the national marketing manager for level products at Endress+Hauser. For more information, visit www.us.endress.com.